If you’ve ever lost one or two nights of sleep and then tried to function the next day—go to work, care for children, drive, study—then you know exactly how “off” your game you can get. Lose just a little sleep or experience one or two nights of interrupted sleep and you have one small glimpse of what chronic insomniacs struggle with everyday. The impact of seriously discounted sleep plus the psychological ramifications are disruptive at best. Given the fact that 60 million Americans suffer from varying degrees of sleep disorders, including insomnia, it’s imperative that you understand exactly how your life may be impacted. During normal waking hours you are typically alert and functioning. You could be in relaxed situations or in the midst of rush hour, but you are awake and vital. But if you struggle with sleep deprivation or sleep disturbances your waking hours could be punctuated with bouts of exhaustion. Most employees are paid to be on the ball at work, no sleeping on the job allowed. If your sleep habits are less than optimal you could be slashing your productivity, cutting out any chance for creative juices to flow and otherwise stumbling through your day like a zombie. Lack of concentration, lack of focus, and forgetfulness are all some of the symptoms associated with insomnia that have a direct effect on your work performance. Some of the symptoms associated with insomnia include sudden mood swings, temper flare-ups, and irritability. These symptoms can be extremely frustrating for you, experiencing them, but just as frustrating for spouses, partners and other friends and family. When you’re exhausted your body begins to slice out the things it doesn’t need in order to save energy. Relationships are usually strained at best. Lack of concentration and the possibility that you could fall asleep pose very real safety risks to you and to others. If you drive a car or operate machinery while sleep deprived you run the risk of accidents. Any existing health problems can also be compounded by severe loss of sleep and new medical conditions can take root. 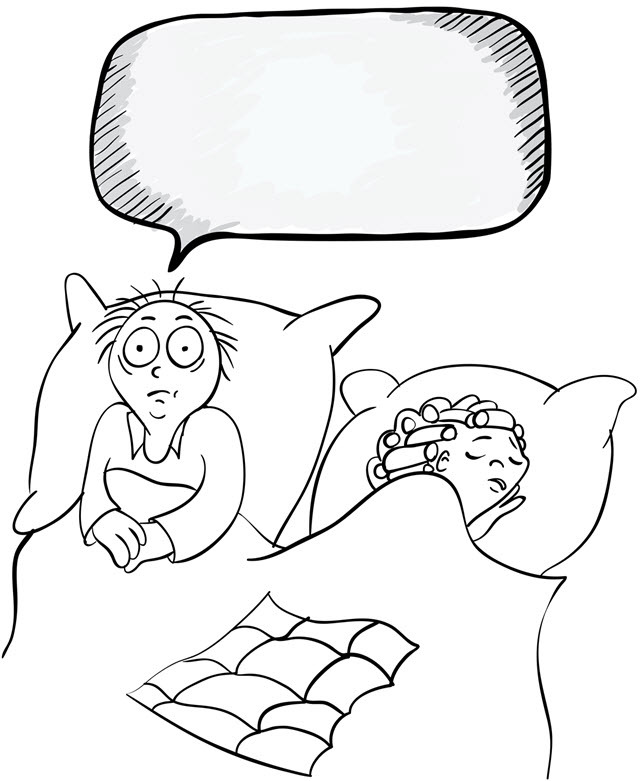 Some pernicious medical conditions exacerbated or inspired by insomnia include depression and anxiety. The longer sleep disturbances go untreated the deeper in the hole you get. Get the advice of your doctor. Treatments include pharmaceutical drugs and non-pharmaceutical therapies designed to get you back on track for the long haul.